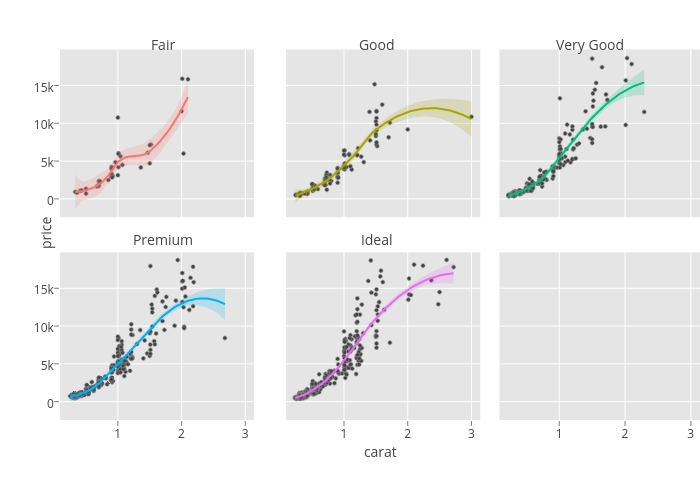 Plotly has a new R API and ggplot2 library for making beautiful graphs. 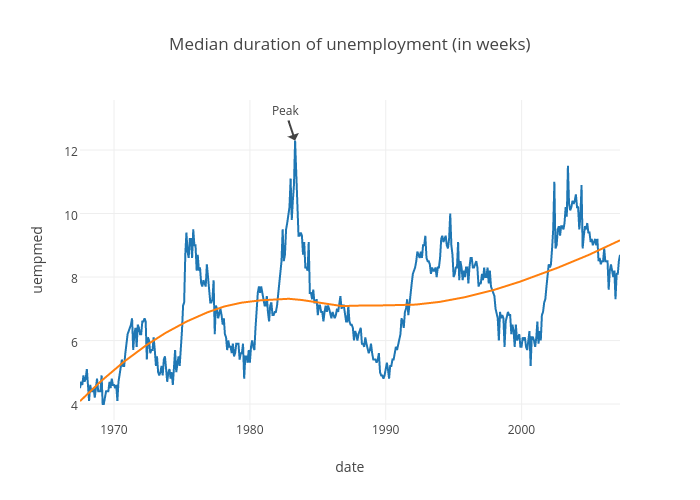 The API lets you produce interactive D3.js graphs with R. This post has five examples. Head to our docs to get a key and you can start making, embedding, and sharing plots. The code below produces our first plot. Hover to see data, click and drag to zoom, or double-click to autoscale. Key features are: you can share plots with a private or public URL (e.g., https://plot.ly/1143/~RPlotBot/). 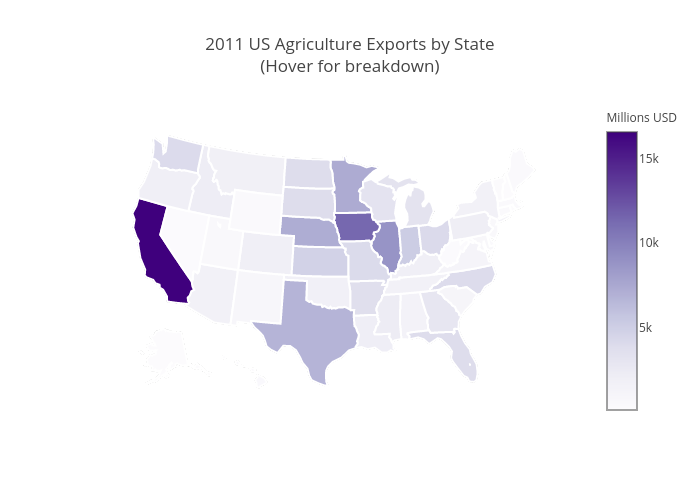 Interactive graphs can be embedded in knitr docs, dashboards, websites, and Shiny Apps. Updating charts is easy. Users can collaborate from any device or browser in a web app or with Plotly’s APIs for Python and MATLAB. 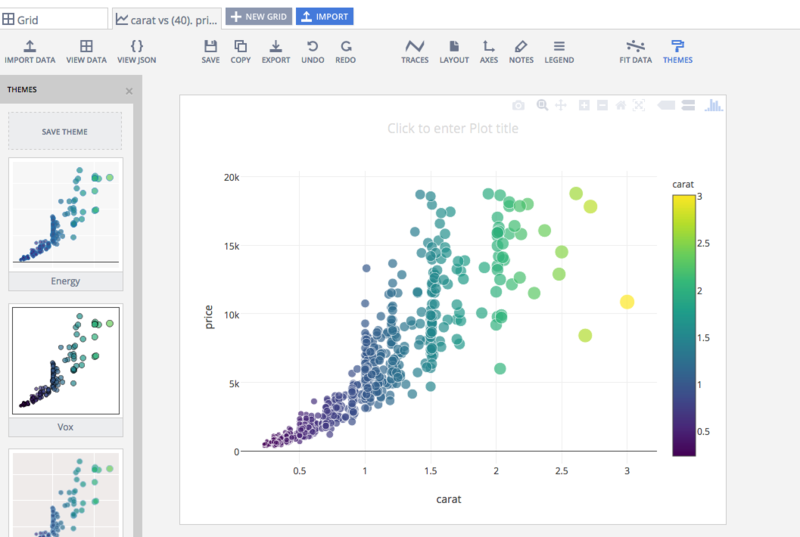 Plotly’s ggplot2 converter turns ggplot2 plots into interactive, web-based plots. You can control the tooltip. For example, note the text. 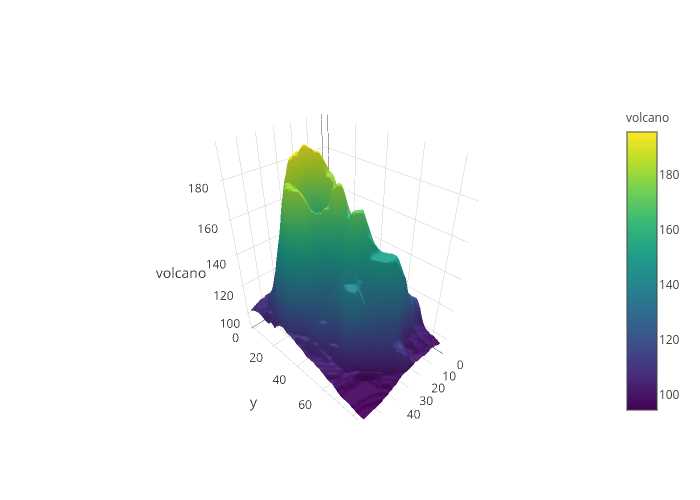 Plotly objects are data frames with a class of plotly and an environment that tracks the mapping from data to visual properties. ## Classes 'plotly' and 'data.frame': 478 obs. of 6 variables: ## $ date : Date, format: "1967-06-30" "1967-07-31" ... ## $ pce : num 508 511 517 513 518 ... ## $ pop : int 198712 198911 199113 199311 199498 199657 199808 199920 200056 200208 ... ## $ psavert : num 9.8 9.8 9 9.8 9.7 9.4 9 9.5 8.9 9.6 ... ## $ uempmed : num 4.5 4.7 4.6 4.9 4.7 4.8 5.1 4.5 4.1 4.6 ... ## $ unemploy: int 2944 2945 2958 3143 3066 3018 2878 3001 2877 2709 ... ## - attr(*, "plotly_hash")= chr "7ff330ec8c566561765c62cbafed3e0f#2"
## - attr(*, "plotly_hash")= chr "7ff330ec8c566561765c62cbafed3e0f#2"
Plotly also supports interactive maps. If you have sensitive data, need to collaborate with your team, and need interactive dashboards, contact us about Plotly on-premise. 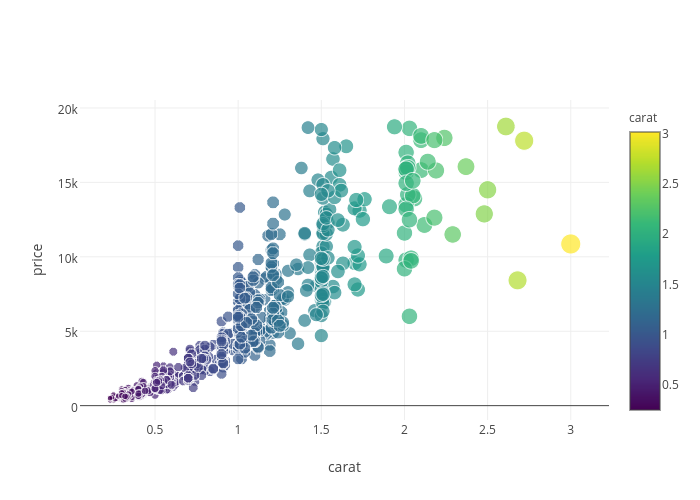 Plotly’s R API was developed by Carson Sievert and Chris Parmer. If you liked what you read, please consider sharing. Find us at feedback@plot.ly and @plotlygraphs.